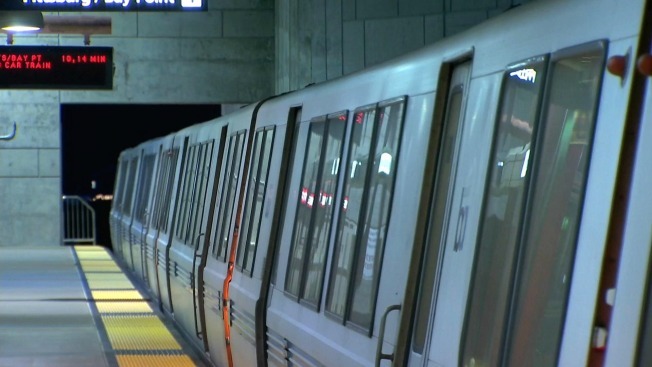 Major BART delays believed to be caused by yet another mysterious propulsion problem bogged down the afternoon commute for riders in the East Bay. Cheryl Hurd reports. Major BART delays believed to be caused by yet another mysterious propulsion problem bogged down the afternoon commute for riders in the East Bay. Problems with powering the trains between the Pittsburg/Baypoint and North Concord stations triggered roughly 20 minute delays for several hours, according to the transportation agency. The problem originally started around 10 a.m. and forced 22 cars to go out of service because of damage, according to Allison. A train shuttle service was implemented between the two stations to help mitigate the commute headache. Last year, a similar propulsion problem cropped up and forced BART to delay service between the two stations for multiple weeks. Shuttle trains and bus bridges were put into action to help transport frustrated commuters. Engineers on Friday said the latest problem could be caused by rail grinding or particle build up underneath the trains, but an exact cause is not yet known. "It's not one thing that we're doing that's causing this or has caused this," Allison said. "It's a combination of factors in a complex problem." It is not clear at this time when BART service will return to full strength in the impacted area. Investigators and engineers will remain on site to formulate a fix.